Score recorded and mixed @ PowerBlue Music, Santa Barbara, CA. Additional recording @ Klimax Studio, Berlin. Thomas D recorded @ Basement Studio, Stuttgart. Score programmed and recorded using Emagic's Logic Audio. Mastered @ Bernie Grundman Mastering, Hollywood. Music Supervision: Daydream Filmmusic Productions. 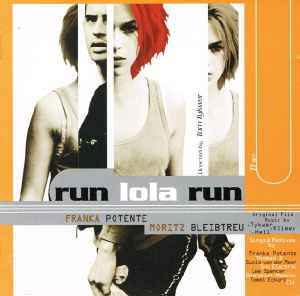 Instructions: Track 1, "Believe" is the essence of the "LOLA RENNT" Soundtrack. To re-experience the movie, listen to tracks 2-9. For an alternative experience, listen to the remixes (tracks 10-15). Enjoy! ℗ 1999 X-Filme Creative Pool GmbH / Warner Music Australia. © 1999 Warner Music Australia.